Why Isn't Sonlight's History Chronological? I read this article and wanted to share it with you: Why Isn't Sonlight's History Chronological? https://blog.sonlight.com/why-isnt-sonlights-history-chronological.html. 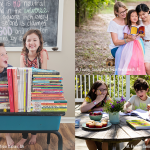 Sonlight pioneered the literature-based approach to homeschooling over twenty years ago. But that's not all. We also focus on history as the backbone of our Core programs. This was a rather unorthodox idea at the time. Since 1990, others have taken our effective method for educating and created their own adaptations. That indicates we're onto something! 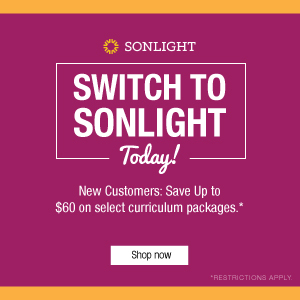 One of the "tweaks" made to the Sonlight approach is the four-year chronological curriculum. The idea is pretty cool: Group all your kids--no matter the age--and everyone will study all of history together every four years. You start with creation and work toward today and then loop back around again. Chronology sure seems like the way to study history. Not only is the word cool, but that's how history is... starting at the beginning and moving toward eternity. * This approach to historical study can work. But we have reasons why we don't think the 4-year cycle approach is optimal. Some of Sonlight is in historical order. We regularly begin the year's Scripture reading in Genesis. As we introduce world cultures in Core A, you will discover what it was like Living Long Ago. And we tend to stick to chronology when studying a particular area or society. Sonlight's presentation makes sense. I like the way I learned history. Sonlight allowed me to see connections between peoples and places in history in a way that straight chronology wouldn't. As an analogy, I like swapping wedding stories with people, not because we were all married on the same day, but by focusing on similar events we can get a clearer picture of those experiences. Such conversations are hardly confusing. It can help to know why Sonlight is "out of order." 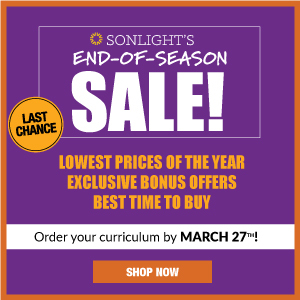 Sonlight will take you through history three times from preschool through high school. But, again, our perspective is rather unique. We have written up our top 10 goals, and while a focus on history is a great way to help reach many of these objectives, knowing the specific order of historical events isn't essential. Instead, we choose to spend time, say, introducing you to other cultures instead of sticking to a purely chronological account of history. Does this mean Sonlight doesn't want to give you a timeline of history? Of course not! One of the resources for your Sonlight programs is the Timeline Book. 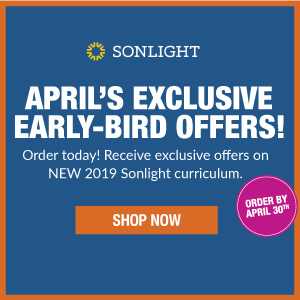 Coupled with your Core-specific timeline figures, you and your children will be able to create a timeline you will revisit again and again throughout your Sonlight studies. Sonlight's programs aren't in chronological order. 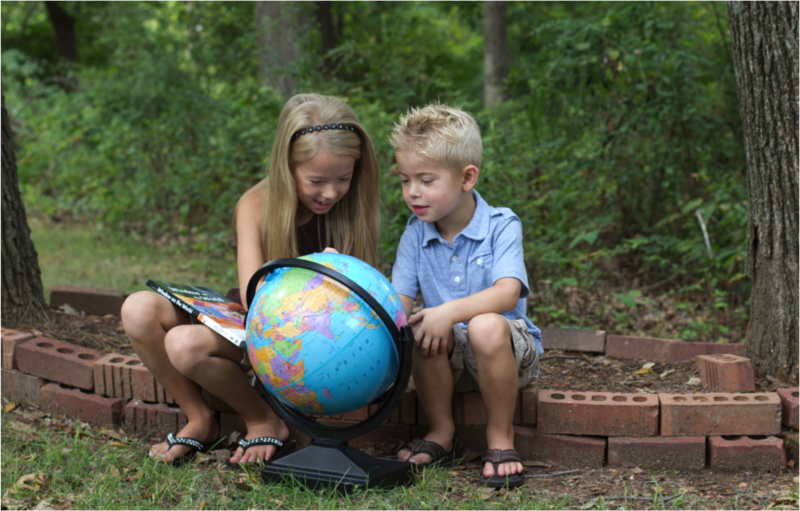 But this enables you and your children to make deeper connections, develop a heart for the world, and love learning together. I'm glad my parents taught me history this way. 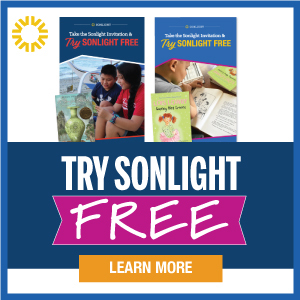 If you've been using Sonlight for a few years now, how has this approach worked for your family? *Not everyone agrees that history is linear. The cyclical theory of history continues to be considered in various forms (such as the book Generations). One of my favorite features of Sonlight is the Timeline Book. My younger daughter (incoming 4th grader) will be starting her 5th year of Sonlight in the fall, so her book is getting extremely full on some pages. We enjoy looking at everything that happened in a particular year while we're putting the figures in. The Timeline book connects the world's history together for me in a way that studying history in school didn't, making history more fascinating for me now as an adult.